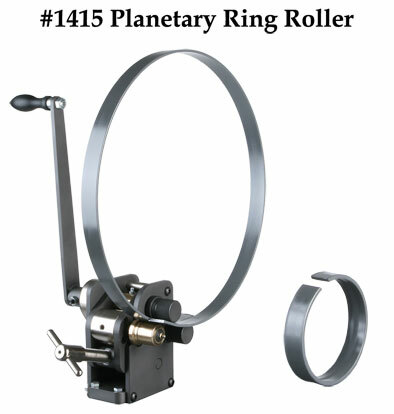 The #1415 Planetary Ring Roller is real handy for making all kinds of different sizes of rings within its given capacities. Years ago back in my old shop I tried to form rings around anything handy, near the size I needed, that might be laying around. That included steel barrels, steel buckets, scrap pipe and just about anything round that could take the pressure. Nothing was ever the right size. It was more than a nuisance to try and make accurate rings that way. 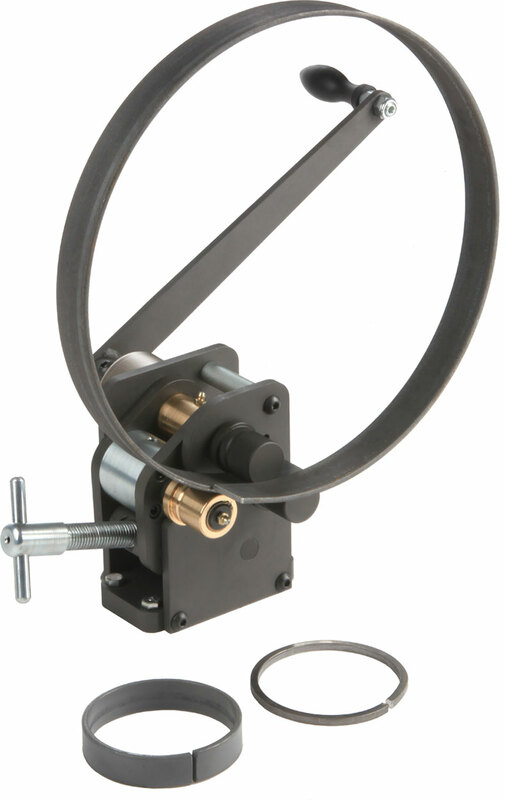 For those involved in making ornamental ironwork, the #1415 Planetary Ring Roller works well for adding extra curves to scrolls in order to create a little different look. Examples of this, as well as projects that were made using rolled rings can be seen by clicking on the Fabricated Projects button over in the right column. 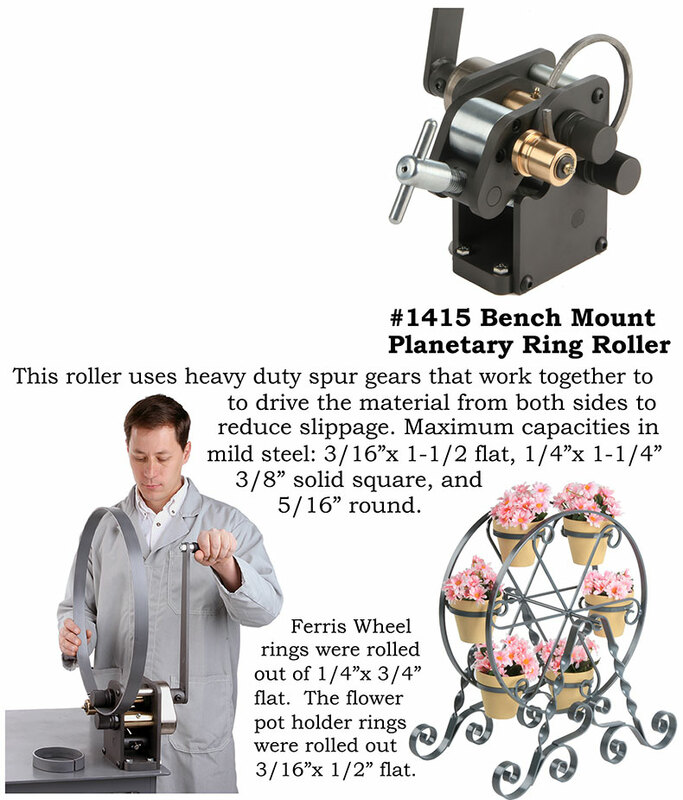 An ideal setup in a fabrication shop is to have both the #1415 Planetary Ring roller for doing the smaller rings and the #338 Pedestal Arch and ring roller for doing the larger sizes and capacities.